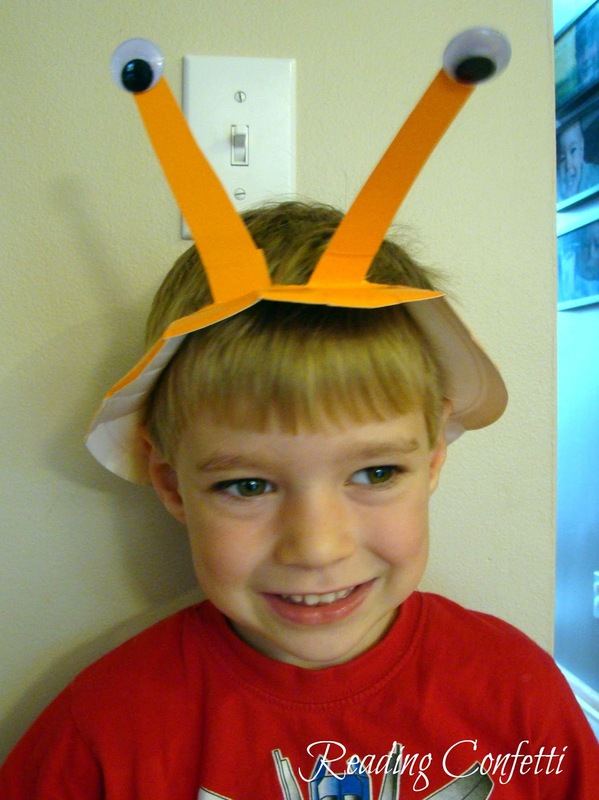 We checked out a cute book from the library called Halloween Hats . In rhyming text the book describes all the types of hats you might see on Halloween. The neighborhood kids (with their hats, of course) gather at the same party where they play a fun game that involves switching hats and celebrating their now mixed-up costumes. Obviously, we needed to make some of our own Halloween hats. 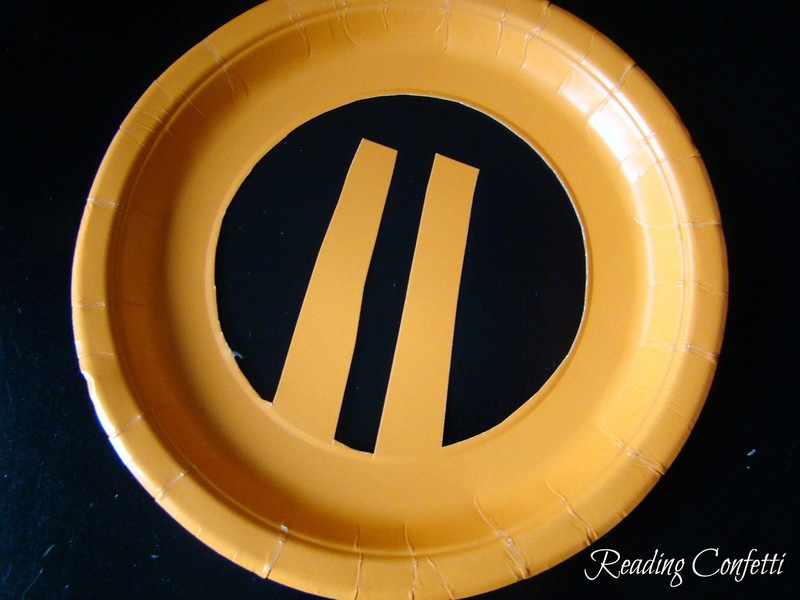 I used colored party plates we had left over, but you could paint some regular paper plates. We made a princess and a monster (or bug or alien. I don't know what it is really) but the possibilities are endless. 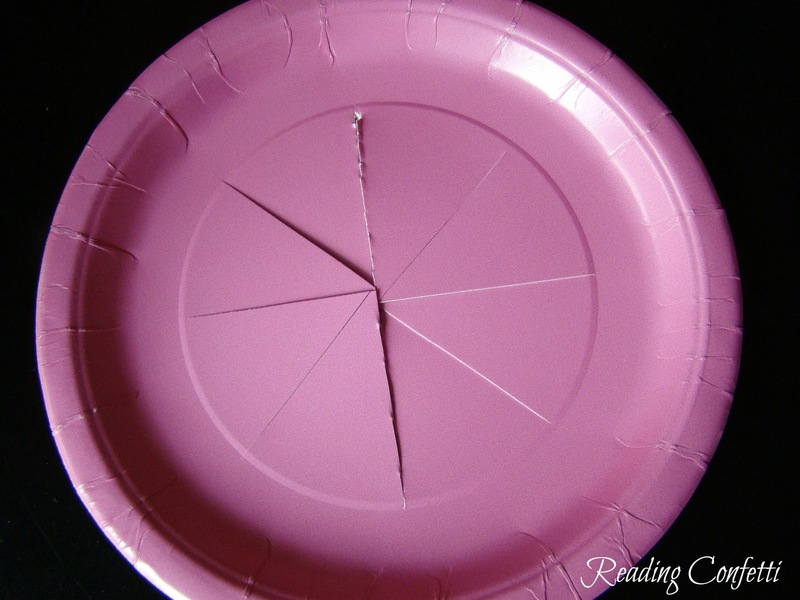 Just cut the shape you want to stand up from the middle of the plate. Then bend the pieces up. I added some google eyes to the monster hat. And some red glitter stars to the princess crown. We practiced trick or treating with our hats, mostly the "trick or treat!" part and the thank you part. (And they insisted on the getting the treat part.) If your kids are ready for more, there's a great post about trick or treat etiquette at JDaniel4's Mom. Super cute! I hope the book is at our library too! 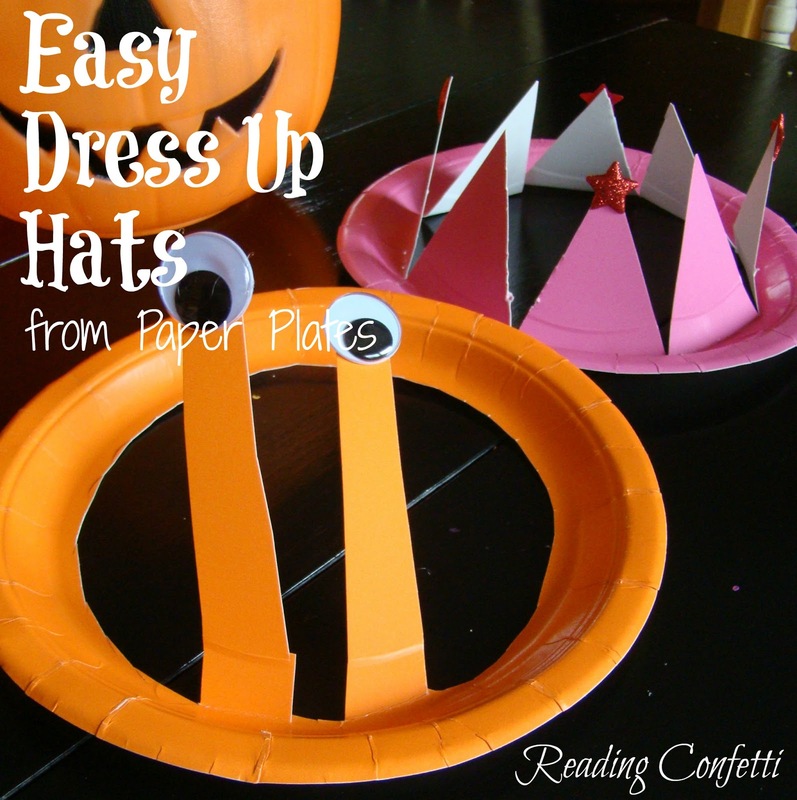 You need to start working on your paper plate ebook now! Love this idea. I just did a princess hat from a purple plate and then cut out hearts from aluminum foil and put them on the tips of the crown. My daughter loves it. Tin foil is a great idea! Oh so cute and I love how easy they are to make. Pinning this. So simple, but so many options. I've just pinned this for a rainy day! Oh what a good idea. I have paper plates out at the moment too. I love it when people bring books to life. What fun! I would love for you to add this to my link-up! What a cute idea! My girls would love that! Thanks for sharing your ideas! What a clever idea! I love hat it is a simple craft that will spark hours of creative play!! What a fun book! I will have to look for it at our library. I love the hats that you made! They are adorable! Thank you for linking to Read.Explore.Learn. I will be sharing this post on the Read.Explore.Learn. Facebook page today. How cute! 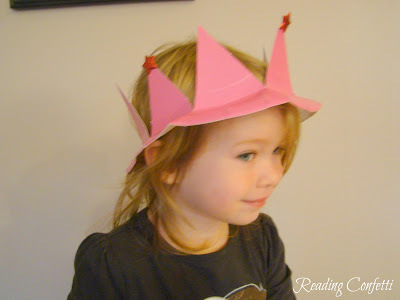 I love crafts that are simple to make and give the kids something to play with afterwards! Hi new follower from the Sunday Showcase. I love this idea! So cute, thanks for sharing! I am going to feature this post on Read.Explore.Learn. tomorrow.